Not fond of the gold. Then again, not very fond of the owl on the Strix cards (wtf is ASUS thinking with that?). Curious to see if the shroud comes apart like the MSI for a little spray paint work. 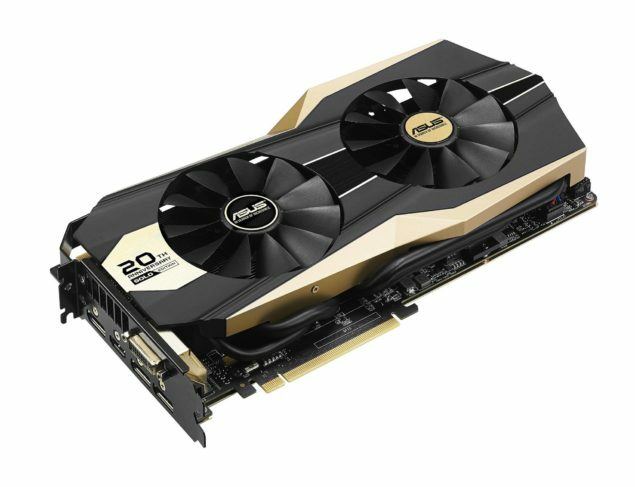 Dam I like that sweet..
Pricing of the 20th Anniversary Golden Edition GTX 980 graphics card is still unknown, but do not expect it to be affordable. The adapter is truly unique and will be made in limited quantities. Nice, but I'll wait for the GTX 980Ti due out later this year as an upgrade from my Asus GTX 780Ti. i think that thing is ugly as heck lol Id take it if given but it would get a paint job real quick. I'm thinking it looks a bit Hasbro or Lego....but with a dash of paint, in the right case...a pair of them might look pretty cool. Forget the colors, according to some sources this card will reach 1400-1500MHz easily, basically it's one 980 Matrix Platinum on steroids.